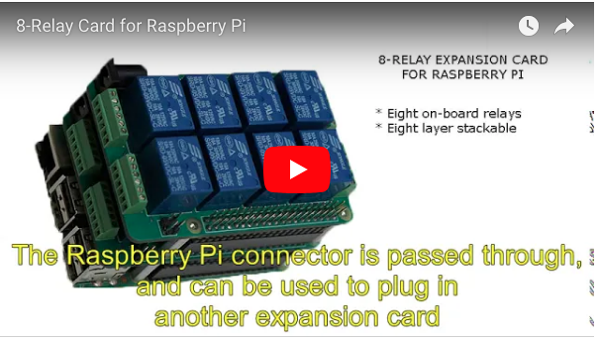 Stackable to 8 levels, the card adds up to 64 relays to Raspberry Pi. A smart, web-based sprinkler controller for up to 64 zones can be built for $3/zone. The 8-Relay card is a low cost version of the MEGA-IO Card. Stackable up to eight layers, it allows users to add up to 64 relays in a very compact form factor. Competitively priced at $25, the card is offered to Kickstarter backers at 33% discount, for an introductory price of only $17.